Spring is in the air. I have been busy doing some decorative improvements around my house this past week. Also I had some technical improvements done to my computer. (more memory). 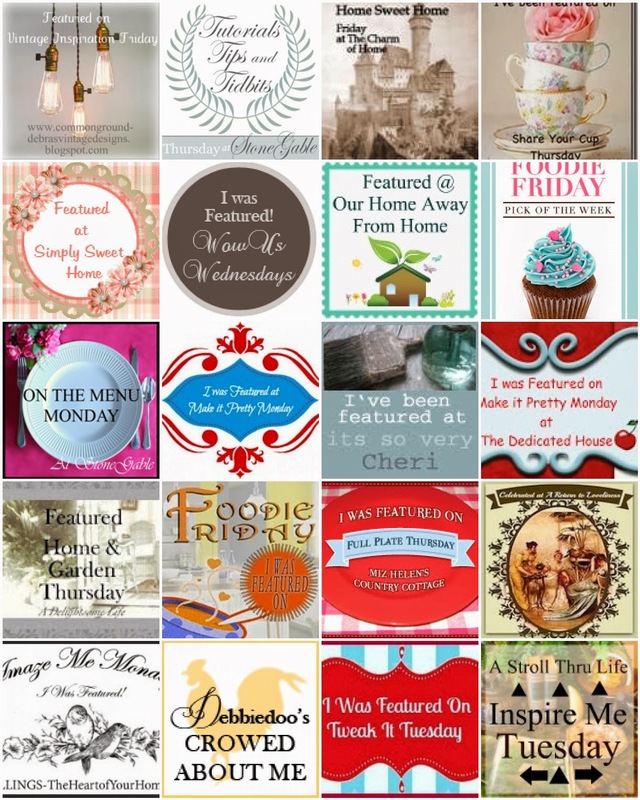 And also great blogger assistance from Kim @ Blue Heron Cottage. 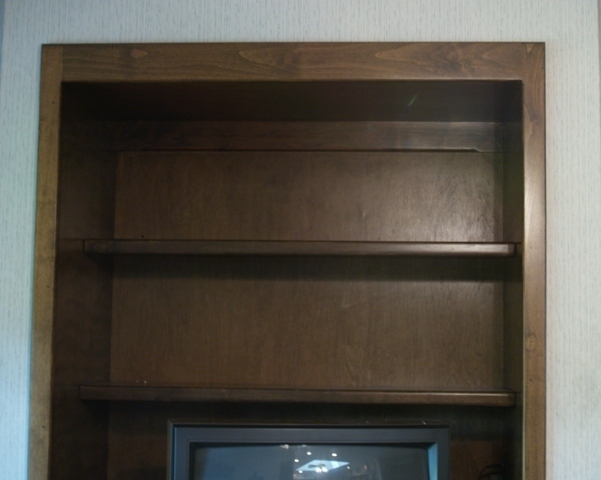 I have a three shelf cabinet in my dining area and it was just sooooo.. plain. I would love to give the blogger credit for the idea of covering foam core with fabric and placing the piece against the back of the cabinet shelf but, I don't remember the blog where I saw the beautiful lined cabinets. I'm so sorry. Great idea for DIY makeover. I'm using a yellow duck cotton single panel drape I purchased at Wal-Mart for $6.00 dollars. I cut two pieces 13"x40" each and tacky glued each piece to the foam core. 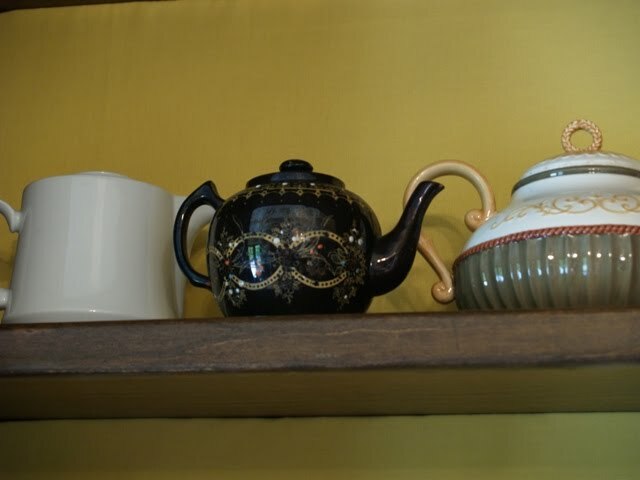 The little black tea pot was my grandma's (it's old). The little white tea pot came with a set of dishes I purchased about 20 years ago. And, the green and white tea pot I bought at a gift shop in Brookings Oregon on a 4th of July weekend in 2008. I love to remember where I collected my treasures. 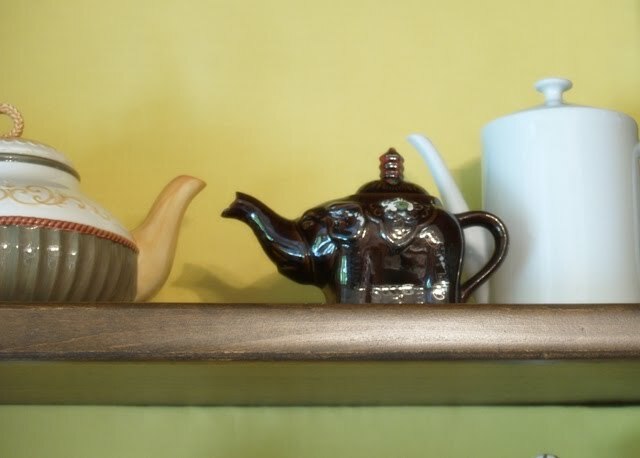 The precious elephant tea pot is the tea pot from my childhood. My sister and I each have a small elephant tea pot. We would enjoy a cup of tea during the winter months. I think I was ten or eleven and I had to have my cup of tea when I came home from school and of course a cookie was added to the treat. I love the coffee pot from Lenox called "Butterfly Meadow" there is a butterfly on top of the lid. I think that is why I bought it or was it because it was half price. 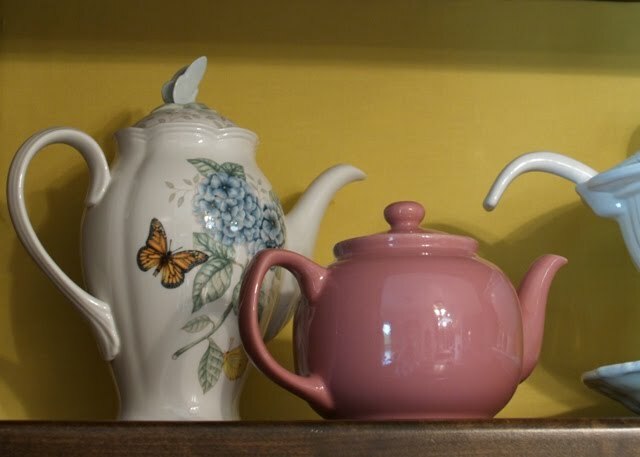 And my pink tea pot is so versatile. I serve tea in it. Put flowers in it. And just admire it. The blue and white tea pot I purchased at Save Mart in Santa Clara two years ago on a visit to my Mom at Christmas time. I was doing some grocery shopping for her (she was 87 at the time) and I spotted this tea pot. I just love blue and white. The chocolate pot is a ceramic piece I painted in 1965. I love vintage pieces. My family has enjoyed some wonderful soup dinners from this white soup tureen. In the early seventies I purchased this tureen for Christmas Eve dinner. I have many fond memories each time I look at the eagle on the top. I will leave you with this mosaic. 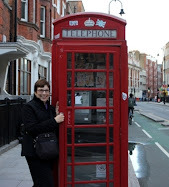 Hope you have enjoyed your visit. And thank you for stopping by. Please a comment and be a follower. Betty I love this and I love the happy yellow. 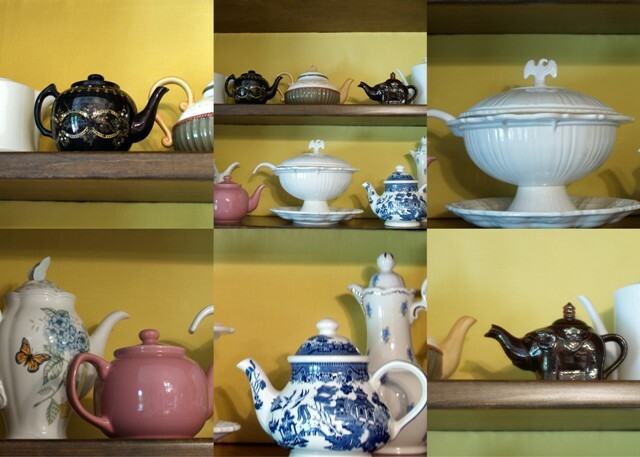 Hi, what gorgeous and beautiful teapots! Wow! I hope that you have a great new week! The yellow background is so pretty! Your collection looks lovely against that soft color! 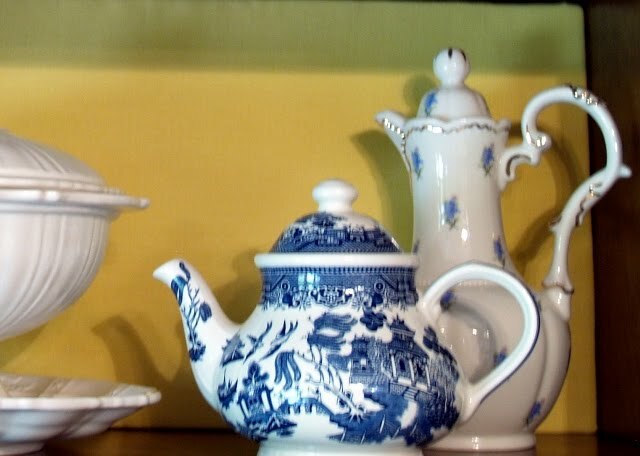 Love your teapots especially the blue and white with the pretty handle. 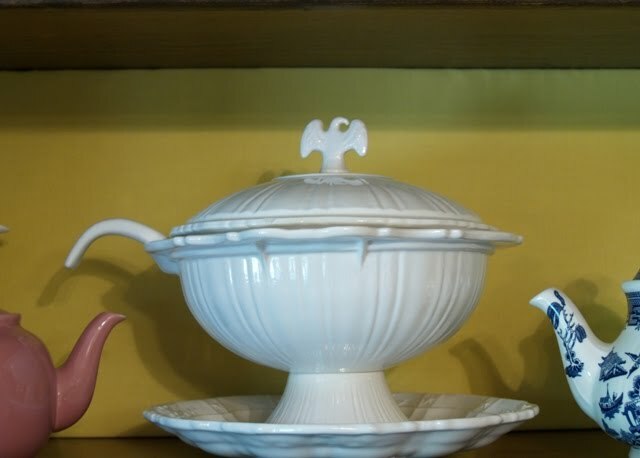 Love the tureen. Now you have some lovely tea pots. I have those same Butterfly Meadows dishes, but not that pretty teapot! Hi Betty, your cabinet looks wonderful...filled with so many pretty things! Your cabinet looks so cheery, love the yellow. 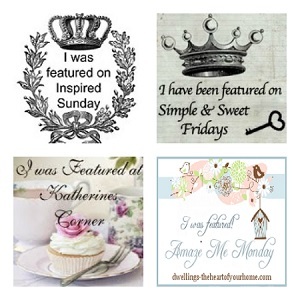 I love all your pretty treasures!